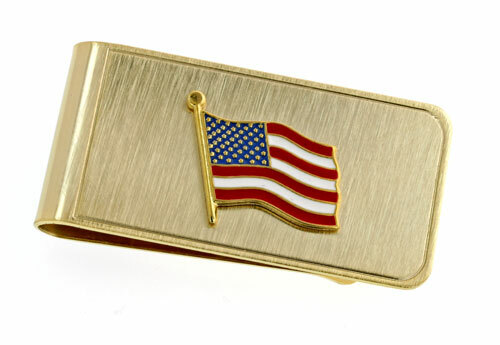 Show your pride in the red, white and blue with the USA Flag money clip! 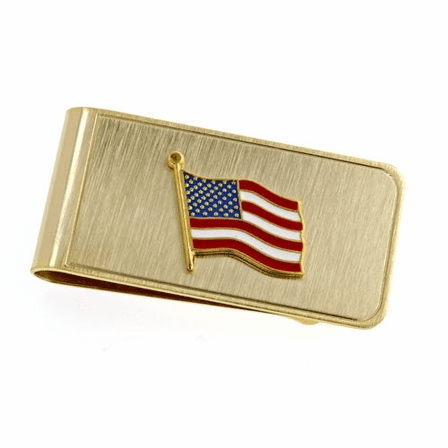 It's made from solid brushed brass, with a bright red, white and blue enameled flag emblem on the front. 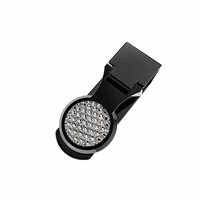 The French-fold grip holds up to 20 folded bills securely, and keeps you looking organized and professional whenever you pick up the tab! 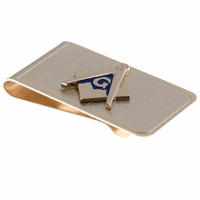 For a special guy, add free custom engraving to the back of the clip. 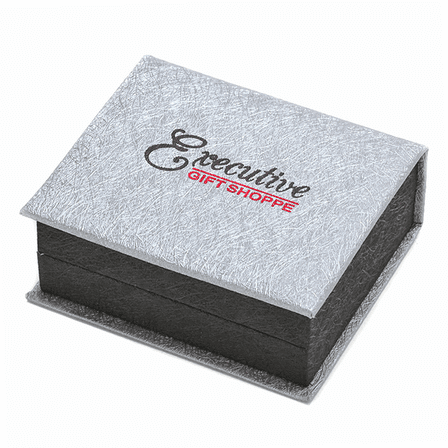 It comes packaged in a handsome gift box that's ready to make his day! Was delivered in a timely manner, and the gift was a success! I had it engraved and he loved it! Great fast service! 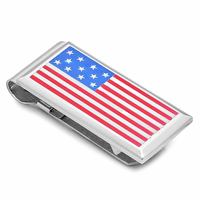 Very pleased with the quality of my USA Flag $ Clip....highly recommend it.